What Is This Alternative Photo Software? CopyTrans offers several iPod management tools, some of which are free and some of which need paid licenses. The photo software specifically requires a paid license, unless you don’t mind them placing a watermark on each transferred photo. If you’re accustomed to using iTunes to manage your photo library, then you’re already familiar with the methods you must use to sync photos to your iPod. Ordinarily, you must plug your iPod into iTunes, select the “Photos” tab and select a folder from your computer from which to sync your photo album. If you delete any photos from this folder at any time, they will be deleted from your iPod the next time you sync it. This poses quite a problem, especially for owners who use their iPods as a sort of media backup. But with CopyTrans, you can manually add and delete photos at will and never have to sync them with your computer. Also, since you couldn’t previously delete photos on your iPod that were in your synced photo library, you can either do away with that album altogether in favor of putting them all in one folder, the Camera Roll, which we will discuss in the next section. The CopyTrans Photo manager is available under the CopyTrans Control Center, next to the various other CopyTrans options, like the iPod manager and backup/restore utility. You can download the CopyTrans Manager software for free at www.copytrans.net. Open the photo software and plug your iPod into your computer using the USB cord for the iPod. Wait for the software to recognize the iPod, then you will see three panes appear in the software. On the top left side, you’ll see tabs for each album currently on your iPod. Photos from your previously-synced iTunes library will appear under the “Photo Library” tab, while images saved from searches, screenshots and other images you saved on your iPod appear under the “Camera Roll” tab. In the far right pane, you’ll see a list of folder options on your computer. Navigate to the folder where you wish to either move photos from your computer and to your iPod, or to which you want to move photos from your iPod. Selecting one of these folders will open it in the center pane. Select a folder in the right pane to pick a photo or photos from your computer to move to your iPod. Select the “Ctrl” key to click and move several photos at a time. Drag and drop them into one of the album tabs on your iPod in the left panel. Press the “Apply changes” button at the top left of the panel, which has two up and down arrows on the icon. This will copy the photos from your PC to the iPod. You should do exactly the reverse when moving photos from the iPod to the computer in CopyTrans Photo. Select one of the albums on your iPod, then click on a picture or pictures in that album. 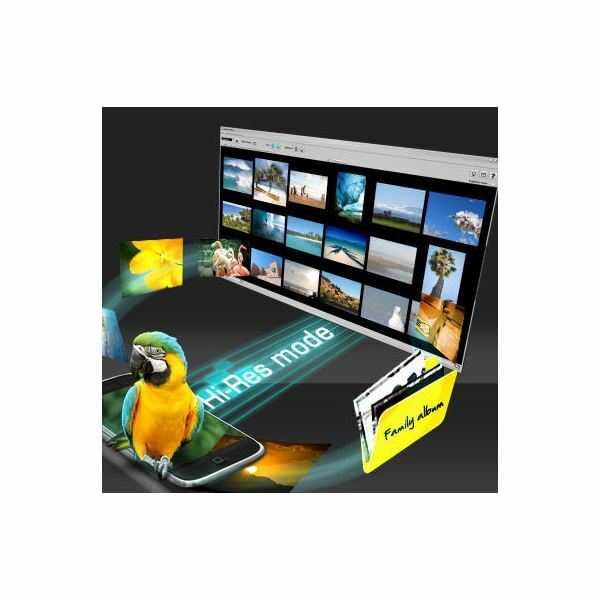 Drag and drop those pictures into the center pane, where you have selected the desired folder on your computer. Select the “Apply changes” button from the top of the pane to begin the copying process. Depending on how many photos (and of what quality) you are copying, this process might take several minutes. Just a few photos take mere seconds to transfer while hundreds of photos will take several minutes. No more deleting the photos from your syncing folder to delete them from your iPod like you have to in iTunes. Select one of the photo albums on your iPod, then pick a photo from the album that you wish to delete. Either right-click the photo, or press delete on your keyboard. Press “OK” to confirm the deletion process. This will remove the photo from your iPod but will have no effect on whether the photo is still on your computer, if you transferred it previously. When you’re finished copying pictures and are ready to pull the plug on the iPod, remember to eject it, just as you would in iTunes. There’s a little out-arrow button located at the top left of the software, next to the “Apply changes” button, that says “Eject.” Always press this and wait for the prompt that it is safe to remove your iPod. You might have to wait a few minutes from the time you unplug your iPod to the time when your photo album eventually updates.